The new Piazza bag features a refined folding construction that embodies the understated luxury Bottega Veneta stands for. Compact, timeless and chic, it's crafted from premium nappa, with a harmonious color combination emphasizing its origami-like structure. This mini-sized version features three internal compartments to easily organize your essentials. 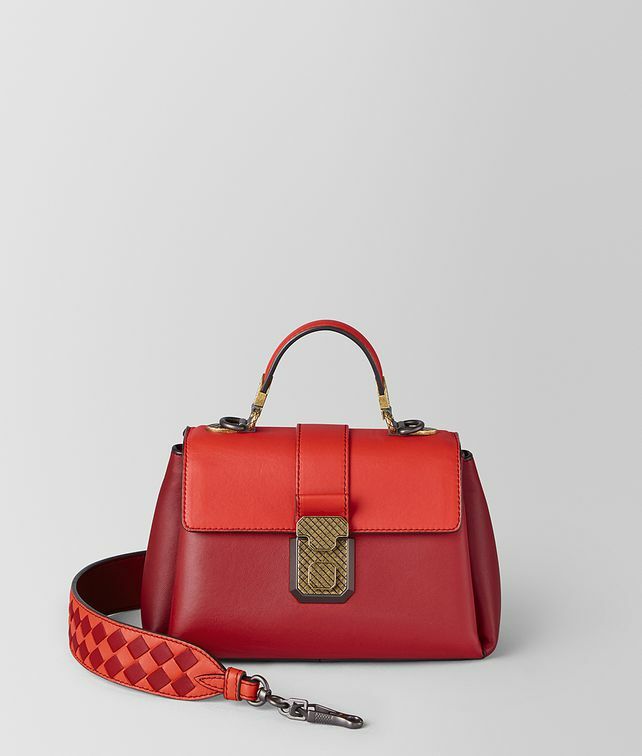 The cross-body strap features a checkered pattern that adds a playful twist to the design.